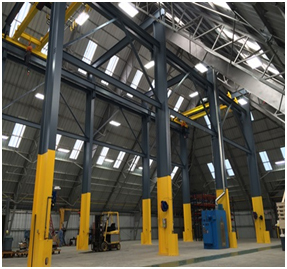 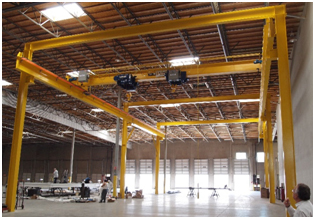 Ace Crane's Freestanding Crane Structures are a perfect solution for situations where overhead crane installation is otherwise difficult or impractical. 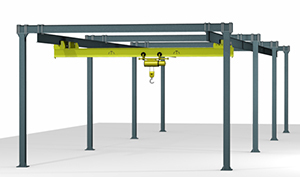 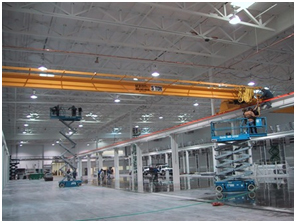 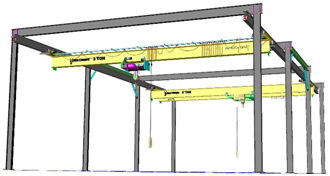 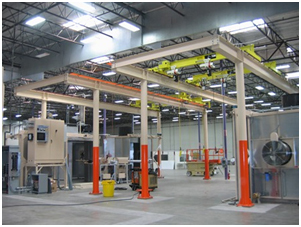 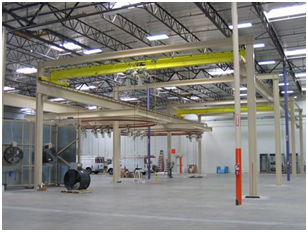 For Crane Systems up to 5 Ton, runways can be installed above the floor without concrete footings, a perfect solution for pre-cast concrete buildings. 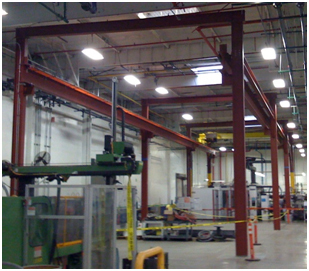 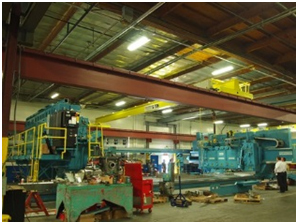 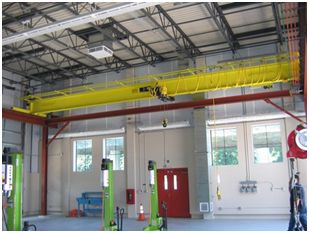 Since all connections are bolted rather than welded, this system is easily dismantled and moved to another location, an advantage when used in a leased building. 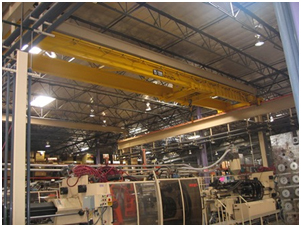 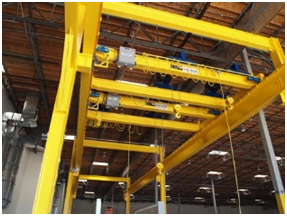 Great for buildings not originally designed for Overhead Cranes.